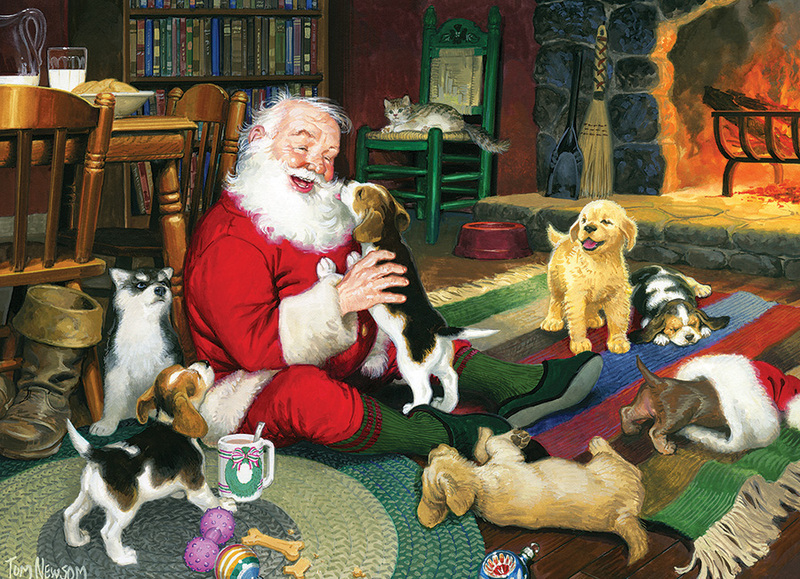 It's Santa's Playtime and he always chooses time with his furry friends, the cats and dogs. Enjoy this wonderful 1000 piece Tom Newsom Christmas puzzle featuring his beloved Santa Claus. Item # 80125 Weight 1.61 lbs.